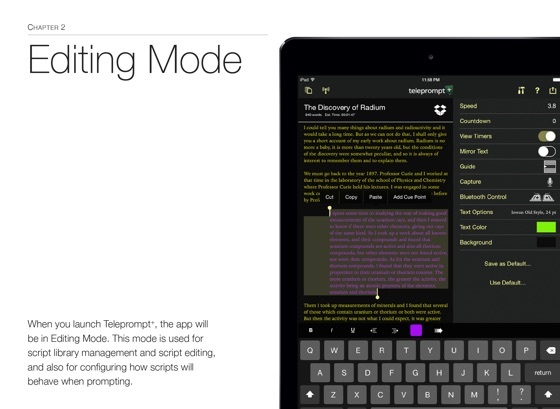 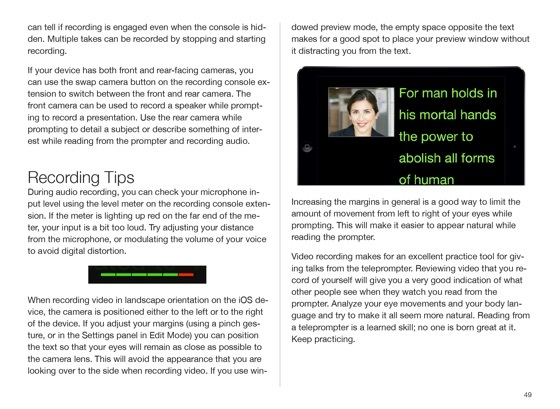 Official user manual for Teleprompt+ 3 for iOS. 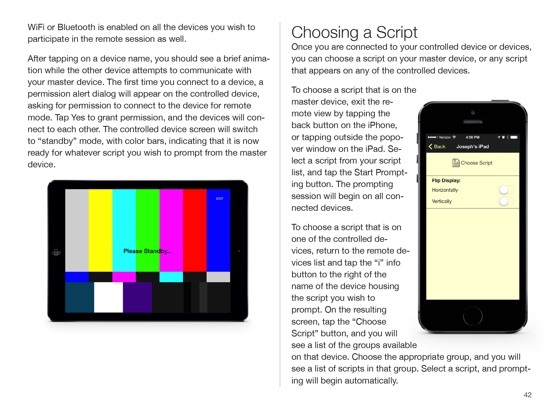 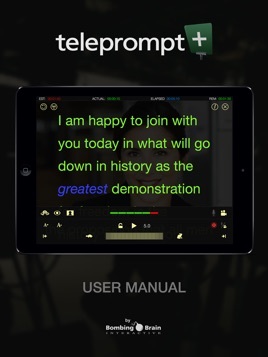 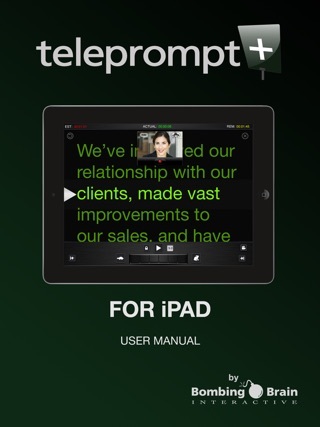 Learn how the all-new Teleprompt+ 3 app can turn your iPad or iPhone into a professional teleprompter and speaking aid with the help of this handy interactive user guide and reference. 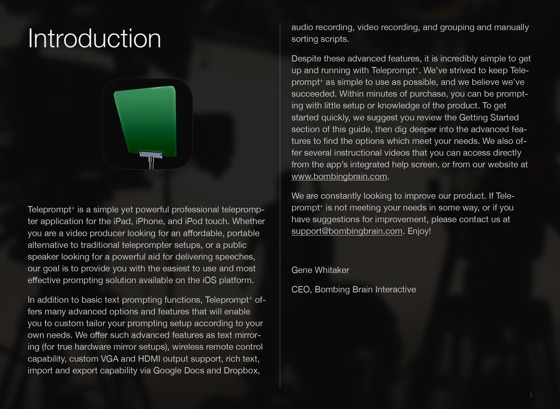 Bombing Brain Interactive is a publisher of apps for the iOS and OS X platform. 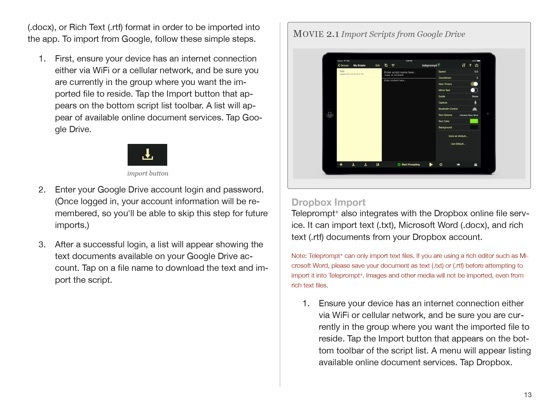 The company publishes detailed user guides and instructional videos for all of its productivity applications, to best serve its customers.